Attend just one Comic Con, either in New York or San Diego, and you’ll know that when Marvel puts on a panel, they bring the good stuff. This year, Marvel teamed up with Netflix to bring a packed audience the cast and creators of both Daredevil and the upcoming show Jessica Jones. But while the Q&A and teaser of Daredevil Season 2 was amazing, the real treat was a preview of the first episode of Jessica Jones, weeks before the show’s release on November 20th. As someone lucky enough to get into the panel, I was eager to see how the show measured up to one of my favorite comics. And folks, it was a hell of a ride. So here’s my review, with only a minimal amount of spoilers. 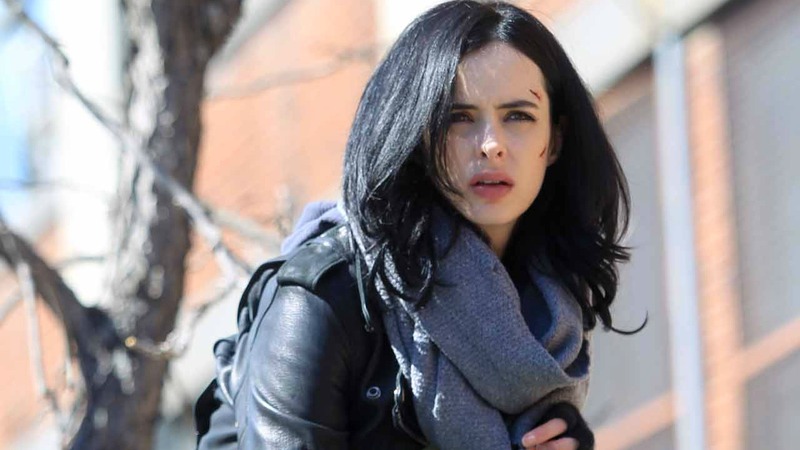 For those who are unfamiliar with the show’s concept, Jessica Jones stars Krysten Ritter as the title character, making her way in New York City as a private investigator while recovering from some serious trauma. Jessica gets her cases from lawyer Jeryn Hogarth, played by the elegant Carrie-Anne Moss. But by night, she stalks the streets with her camera, catching sleezy cheaters in the act so she can make rent. Jessica gets the cases that Hogarth can’t give anyone else, because she has a secret she’s awful at hiding: Jessica has super powers. They might not be as flashy as Thor or even Daisy Johnson on Agents of SHIELD, but Jessica can shimmy up buildings and break down doors with a flick of her wrist. You’d think then with the rise of super heroes that Jessica might be out saving the world. Instead, she’s lying low in the big city, trying to put her life back together. And though we don’t know exactly what happened that caused Jessica’s trauma, it all comes back to a single man named Killgrave. 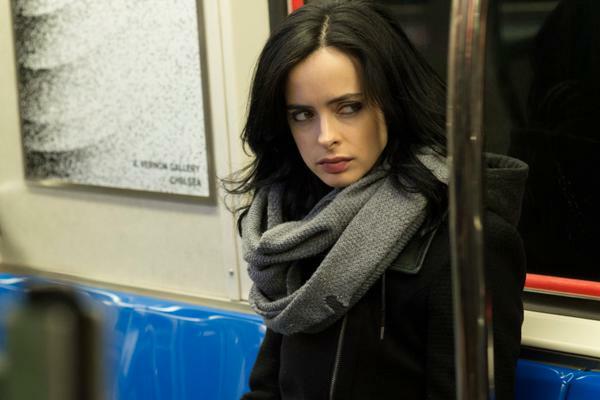 From the beginning, Jessica Jones is a modern noir story flipped on its head. By the single act of making the detective at the heart of the tale a woman, Jessica Jones has taken all the tropes of the noir genre and made them fresh. Like any good noir setting, the city is a major part of the story, a city of polar opposites, light and shadow. By day, Jessica works her way through the complex make-up of New York, from high priced office buildings to run-down apartments. New York by night is a city any Daredevil fan will recognize, but instead of the brutal violence of Matt Murdock’s Hell’s Kitchen, Jessica Jones’s nights are made up of secrets lurking beneath the surface. Ritter as Jones perfectly captures Jessica’s simmering hostility and suffering, an impressive performance that balances Jessica as a brassy yet vulnerable person, perfectly believable as a competent detective or a drunken hot mess. She is the modern inheritor of a Sam Spade, complete with shady past yet to be uncovered. And that shady past is intertwined with the menacing figure of David Tennant, a scarcely seen force whose presence is immediately felt in the aftermath his actions have on Jessica’s psyche. Killgrave is the television version of the creepy comic book villain, The Purple Man, known for his ability to manipulate minds and for the purple skin that gave him his name. 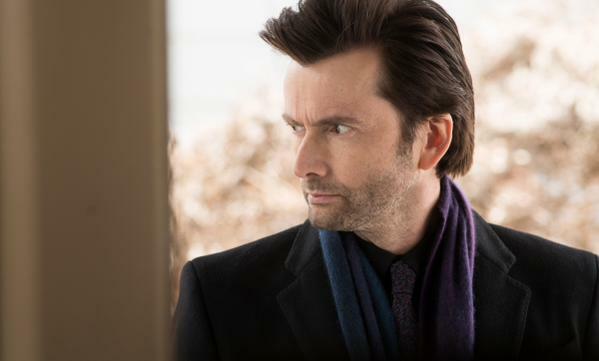 Tennant presents a more urbane and believable villain for Netflix audiences, stripped of his purple skin, and is left instead as a haunting presence that seems set to be revealed slowly. Instead, Killgrave’s menace is made apparent by the damage caused all around him, including the PTSD Jessica struggles with caused by Killgrave’s actions. The show handles Jessica’s implied violation as well as her mental trauma with care and maturity, but fans that might be concerned about storylines involving non-consensual acts might want to take care. It’s clear from the beginning that Jessica’s story is largely fashioned around the aftermath of what Killgrave did to her, and that probably will remain a central point for the rest of the series. Fans of the comics will recognize other characters translated over from the Alias Jessica Jones comic that spawned this show. 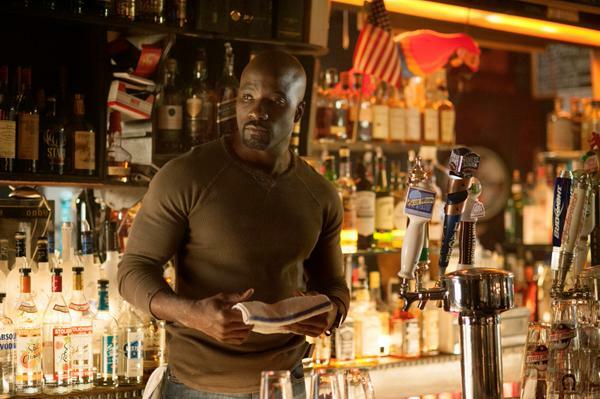 Comic fans get their first look at Luke Cage, played by the magnetic Mike Colter, bartender and soon to be star of his own Netflix series. While Luke Cage is well known as one of the most prominent African American super-heroes in comics with a huge fan base of its own, it’s an interesting choice to see him introduced first into the Marvel Television Universe as Jessica’s love interest. While the comics set the precedent for their love affair, audiences will have to see how that develops before the charming powerhouse Cage departs for his own series, which began shooting just after production wrapped on Jessica Jones. This bridge between the two shows further sets up the upcoming mini-series that will bring Jessica and Cage together with Daredevil and the yet to be seen Iron Fist to form the Defenders. 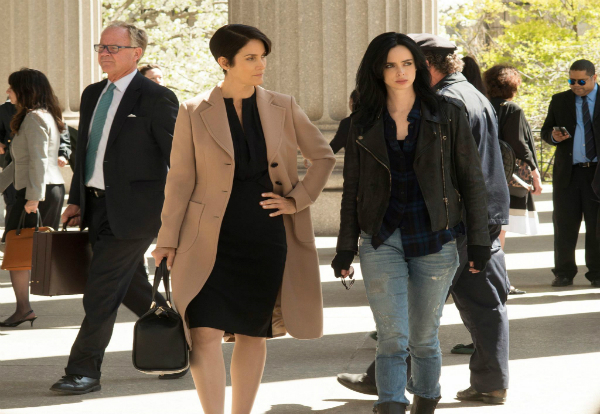 Two other comic characters finding reimagining in the series are Carrie-Anne Moss’s Jeryn Hogarth (called Jerri by Head of Marvel Television Jeff Loeb at the premiere) and Rachael Taylor as Trish Walker. Moss’s Jerri, gender-swapped from her comic counterpart, is known in the comic books as a friend of Danny Rand aka Iron Fist, further providing us with another connection to the upcoming series. But while fans await more build-up to the Defenders, we have plenty of amazing Jessica Jones to see when the show is added to Netflix on November 20th. 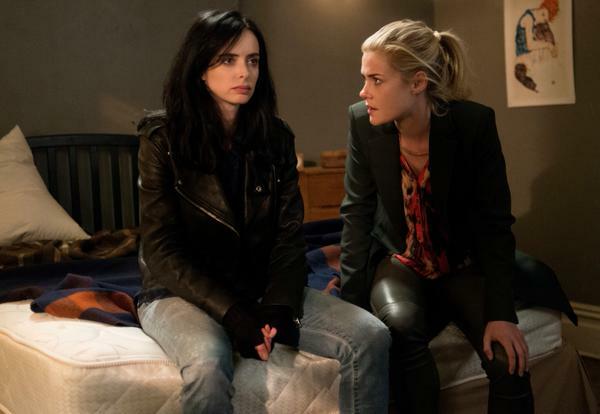 By the end of the first episode, I was convinced as a fan of both the Marvel television Universe and the Alias comics that Jessica Jones is a stellar addition to the Netflix lineup. It’s a slow burn pressure cooker that faithfully adapts the groundbreaking comic while giving audiences a deeply thoughtful and intense piece of television. Get ready to grab some snacks, turn off your phone, and cancel plans on the 20th because this is one show you’ll want to watch straight through. Are you anticipating this show? Let us know all about it in the comments.